Successful London to Istanbul dinghy sailor Giacomo De Stefano (he’s currently in the running for Classic Boat’s Person of the Year Award for his voyage) is setting up a new project – and is looking for a boat yard in the UK that can help him achieve his goals. He’s planning to use two boats to campaign about the ‘connectedness’ of those who use water resources – agriculture, those who use waterways to dispose of effluents, as a source of drinking water, as a means of making and living, and to collect stories that make his points. Read all about the project here: http://www.bewater.info. 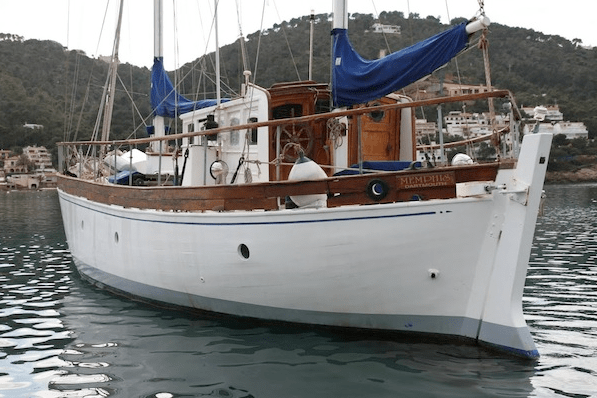 One of the boats to be used for this purpose is Memphis of Dartmouth, an impressive 62ft ketch built in 1928 by James Miller & Sons of St Monans, Fife, which he will be bringing to the UK through the French canals in May this year. When she arrives she will need a fair amount of work by a yard to replace rotted oak frames etc, and there will also be a significant amount to be carried out by his own team. Giacomo tells me he plans to pay for this by raising money from supporters and through organising partnership and sponsorship deals, which he is optimistic of achieving, but he adds that he can also offer financial guarantees to the yard that takes the job on. The job is also likely to attract publicity, it goes without saying. If you’re interested, please contact Giacomo through the http://www.bewater.info website. 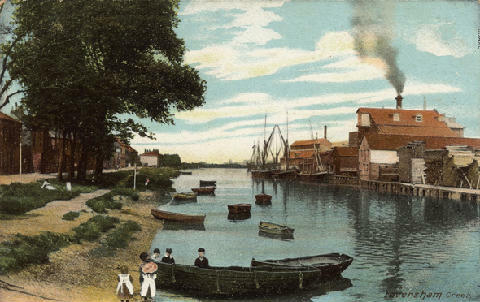 Postcard collector Gary Vaughan has a fascinating website showing his many images of old Kent, including quite a few of Faversham and Faversham Creek in particular – this is just a small sample! 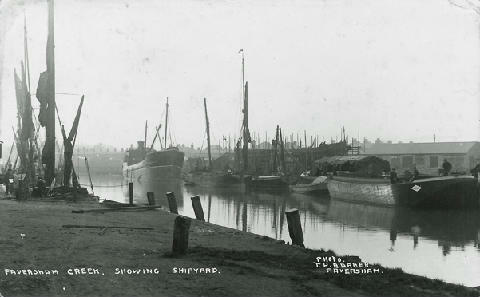 Notice how large ships used the creek, how hard the creek shore was back when the sluice gates were used regularly to wash the mud from the creek, and how different the area above the bridge used to be. They’re all eye opening to those of us who have only come to know the creek in recent decades – even the launch from the sideways slip at Pollock’s Yard is a surprise. 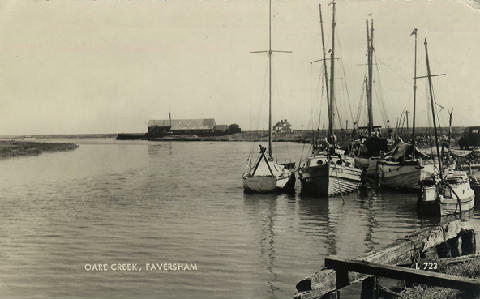 Got to his Faversham Creek page, or to his home page to see many more.